Daryl Johnson (Worcester Park, United Kingdom) on 9 February 2017 in Transportation. Getting to the end of last year's trip to Japan... just in time for our family to start planning this year's! This was actually the view from our hotel room at Haneda airport, where we stayed the night before flying back to the UK. You might imagine it was pretty noisy, overlooking the runway; but you couldn't hear a thing when in the room... quite amazing. As you say, amazing you were not deafened by a view like this ! such beautiful angle, frame, focus, colors & lights! 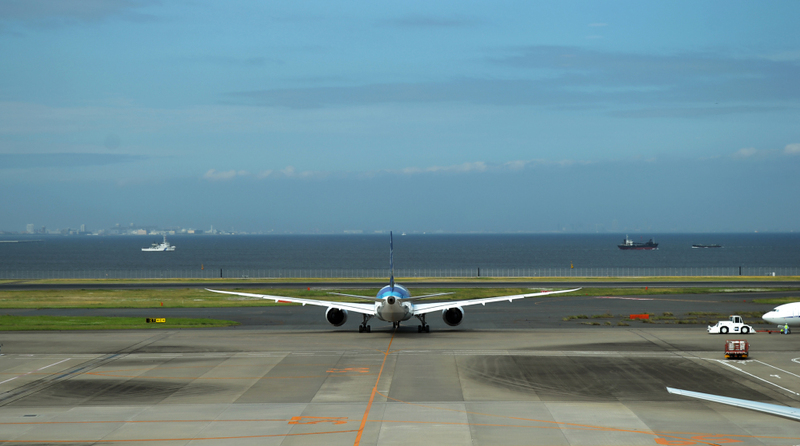 A beautiful view of the runway and bay beyond.